I’ve talked before about how I’m drawn to projects that “check all my boxes” for interesting research, worthwhile teaching, and community engagement. 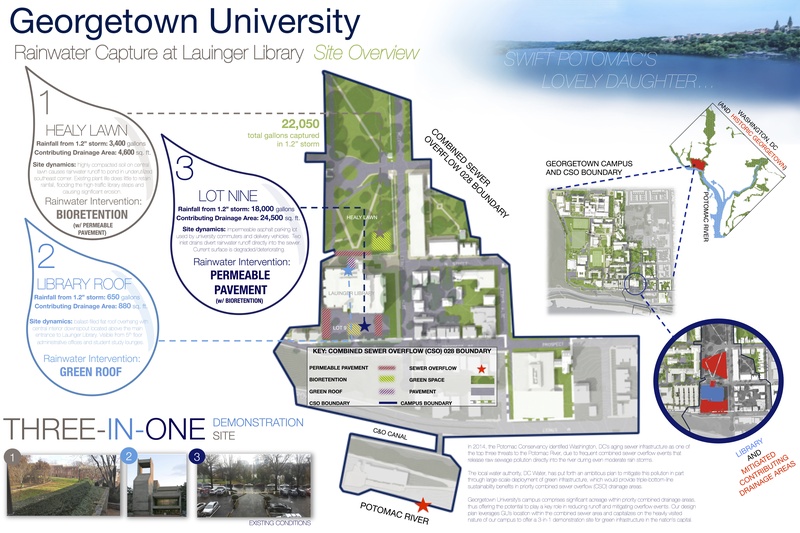 One of the best examples I have comes from my work with Audrey Stewart on sustainable campus planning. In Fall 2014 we taught a course called Sustainability Theory and Practice. The graduate and undergraduate students in that course spent the semester learning about sustainability by competing in the EPA’s annual RainWorks Challenge design competition. 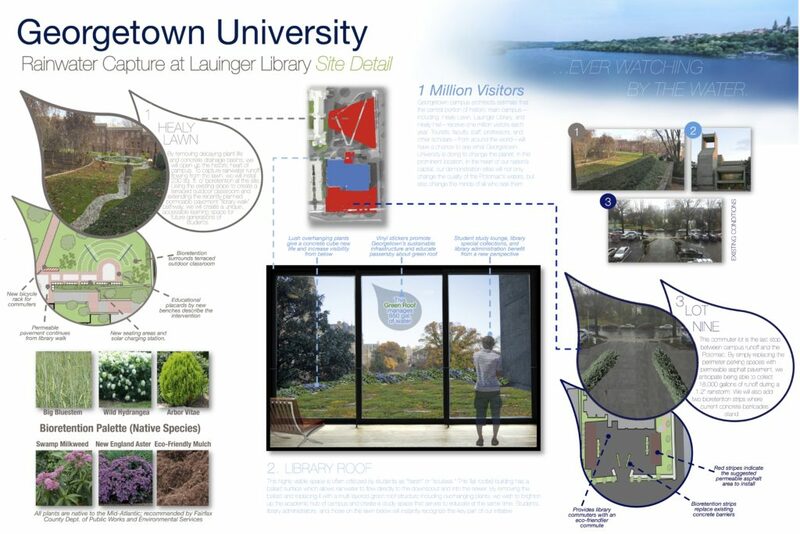 We created two design boards and a design brief for our project transforming the environment around Georgetown’s iconic Lauinger Library into a model of sustainable landscaping. The students did an amazing job. They learned how professionals do Green Infrastructure design with the help of DC Water’s design team. They learned a ton about infrastructure and landscaping for water retention, and they even learned a bit about how institutions do business. Everybody won with this project, which still echoes at Georgetown today. Our design team took home Honorable Mention in the competition (no small task for design novices competing with professional schools), Georgetown and DC water began a long-standing conversation about increasing Green Infrastructure on campus, and Audrey and I did some great research (2 conference proceedings and one paper in FORMakademisk).